Rocinha is the largest favela in Rio de Janeiro, a city where favela residents make up 22.03 percent of the population. This means that out of the 6.3 million people living in Rio, 1.4 million live in favelas. As of a 2010 census, Rocinha's population was about 70 thousand, but estimates are much higher, predicting there are anywhere from 150 thousand to 300 thousand residents crowded in the .8 square miles of Rocinha. To be able to fit into the twenty-one neighborhoods in Rocinha, houses are built on top of each other, sometimes being nine, ten, or eleven stories tall. Compared to some shantytowns, Rocinha has a relatively good infrastructure, with houses built out of concrete and bricks and businesses such as banks and drug stores. About 99 percent of people living in Rocinha have access to electricity and most have running water, though Rocinha's sanitation is very poor, with sewage running in a channel between houses. 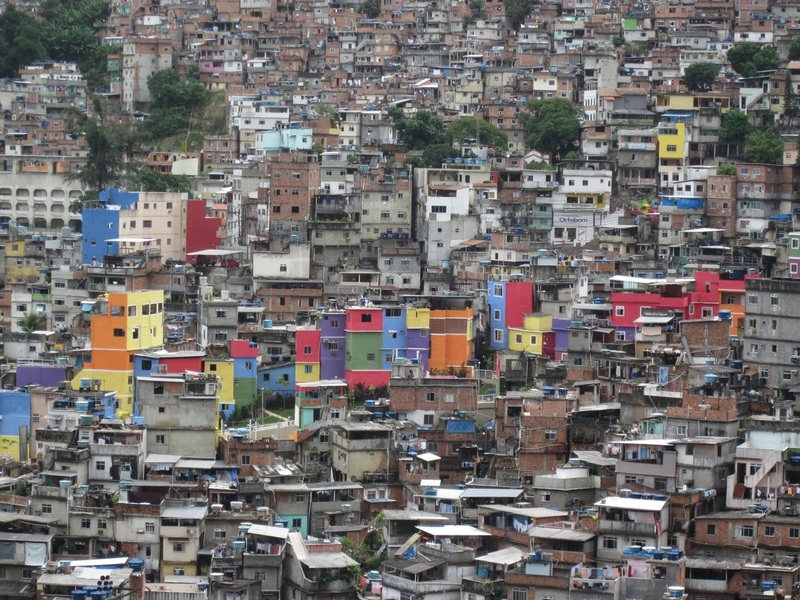 Due to its lack of services, Rocinha is ranked 120 out of the 126 neighborhoods in Rio on the Human Development Index. Rocinha's location next to one of the rich neighborhoods in Rio de Janeiro represents the stark contrast between rich and poor in the city. The population of Rocinha is younger and less educated than other slums in Rio, making violence a major concern in that area. Also, due to its dense population and lack of sanitation, Rocinha, like other shantytowns in Rio, suffers from tuberculosis and other contagious diseases. A developing community receiving more attention from the rest of the world due to events such as the World Cup and the Olympics in 2016, Rocinha's young population continues to connect more and more with the world around them, as the community struggles to have a better future through better education, less violence, and less disease. View of Rocinha, the largest favela in RIo de Janeiro. A protest in Rocinha demanding better living conditions.